We are Michael and Lorraine Barber, a husband and wife winemaking team, and Barber Cellars is our small Sonoma winery producing no more than 1000 cases every year. Our winery comes from pretty humble beginnings, definitely not the classic ‘made lots of money somewhere else, then got into the wine business’ story. No family lineage of winemakers, no store of wealth to get things going – just an undeniable love of great California wine and the willpower of two people determined to make it in a very tough business. Customers in our tasting room always ask me where I learned to make wine. Well, my wine education story is pure on-the-job training. After graduating college in San Francisco, I (Mike) got a job with one of the most respected wine retailers in the city, K&L wine merchants, and worked there for 10 years. It was the perfect education for what we do now: I met winemakers and vineyard managers from all over the world, tasted all the wines of the world, and was sent to many different countries and all over the west coast to try wines. I became obsessed with the idea of making my own wines and read the UC Davis viticulture/enology course books on my own, though the best knowledge I gathered was the advice and guidance from all the international vintners I met at the shop. This gave me something you can’t learn in the classroom: the realization that wine is art, always subject to the individual perceptions and preferences of the drinker which are as vast and varied as the wine world itself. Sometimes the imperfections of a wine are its best qualities and should be allowed to express themselves without manipulation, without confining the bottle to a preset list of approved chemistry numbers. I wanted to create elegant, unique, food friendly wines that let the vineyards speak through them, and I somehow convinced my wife (girlfriend at the time) to join me. In 2005 we started hauling half tons of Healdsburg grapes up to our second story San Francisco apartment, rehydrating barrels in our bathtub, fermenting the must in a walk-in closet (a mildly dangerous plan…), and stomping the grapes with our feet. A romantic idea, but it was actually pretty sticky and gross – organic grapes mean you have to deal with a lot of spiders. In 2007 we met some people in the East Bay Vintners Alliance, in particular Matt Smith (winemaker of Blacksmith Cellars/Dashe/Rockwall/Winterhawk), who taught us how to take our production to the commercial level. Our first commercial vintages were made from Dry Creek Valley grapes in a Suisun Valley facility we commuted to from San Francisco. They were instantly received with praise in national wine magazines and in the SF chronicle, and Barber Cellars was born. In 2009 we set our roots in Petaluma, CA and I decided we would only work with vineyards around our town in the cooler lower Sonoma appellations of Sonoma Mountain and Sonoma Coast. Jon Philips, owner/winemaker of Inspiration vineyards, was instrumental in setting us up at our small warehouse winery in Santa Rosa. Now we’re 100% Sonoma County: living in Petaluma, making wine in Santa Rosa from lower Sonoma appellations, and constantly either pouring our wines for customers or working in the vineyards. This past November, after carving a path through red tape and renovation, we took our most important step and opened up our tasting room at 112 washington st, Petaluma, CA 94952 – a corner of the historic Hotel Petaluma and the first downtown tasting room in Petaluma. Reflective of who we are and what we love, it’s a beautiful and casual place we renovated ourselves – a space to drink wine, play games, and enjoy local cheeses/charcuterie. Our wine origins are modest. We have relied completely on the advice and help of our fellow vintners and vineyard managers. This business is tough, but the community is strong and has made us stronger. Our wines are expressive, unique, and elegant, and that’s exactly what I wanted to make. Stop by our tasting room, taste for yourself, and say hello! 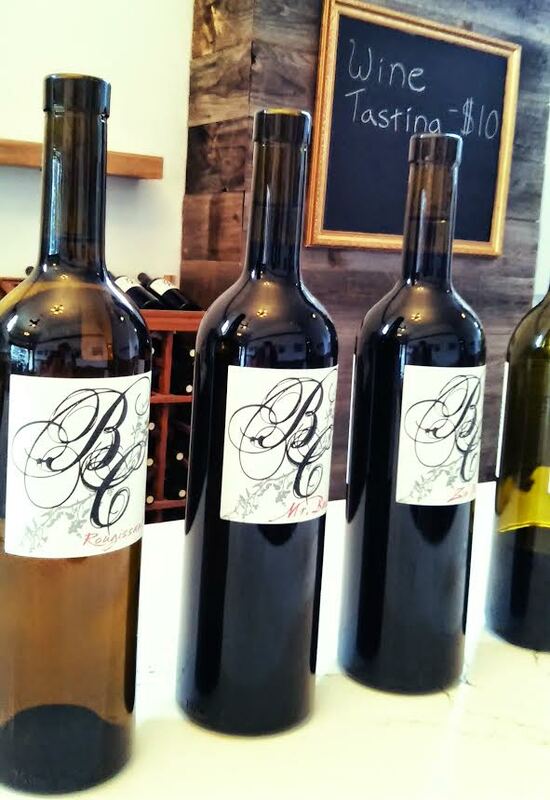 Barber Cellars is dedicated to small production, hand made, high quality wines from organic single vineyards. We do not believe in additions or manipulations to our wines, and we prefer elegant/bright wines that are food friendly and ready for the dinner table. We are in the heart of pinot noir/chardonnay territory (Petaluma is the gateway to the Sonoma Coast appellation) but I don’t have a passion for those grapes. Other people are already making plenty of outstanding pinots and chards from this area. I decided to look for other varietals we could find from Petaluma, creeping up the mountain to the east of town (Sonoma Mountain) for our reds and choosing different grapes around here for our whites. Our Sonoma Mountain cabernet is out of stock right now (back in spring 2016), but it’s a burly and spice driven mountain beauty with structure and dark, brooding fruit flavors. Our sauvignon blanc will also be back in spring: a bright and racy white with grapefruit flavors and white flower aromas. Our pinot gris and zinfandel are the wines available on the market right now. Pinot Gris – this one of a kind beauty comes from a single block of Keller’s estate in South Petaluma, a block with a high chalk content in clay soils typical for the Sonoma Coast. I call it ‘Rougissant’ – French for ‘blushing’ – because of the slight color the wine has from three hours of skin contact we gave it before pressing and fermentation. Pinot Gris, or pinot grigio depending on what language you’re speaking, is actually a red skinned grape with a grey/dull red skin opacity. Any contact the juice has with the skins after crushing the fruit will extract color and apricot/almond flavors. The wine was fermented in stainless steel for a long/cold/slow fermentation of about 7 months. The result is a crisp and unique wine with full, rich flavors but a bright finish. Zinfandel – I love zinfandels, and zins have always been the focus of our winery. Zinfandel is California’s grape, and when it’s made well it can be a wonderful and delicious journey through California’s heritage (some of the oldest vineyards in the state are zinfandel vines still growing after 150 years). It is also one of the most difficult wines to make, prone to uneven ripening and deficiencies. Zins require blending with other varietals and are more susceptible to the touch of the winemaker than most other grapes. If not handled with care, they can become a big pruney and alcoholic mess. Discover Barber Cellars wine experiences in the VAULT29 app by downloading and searching #BarberCellars. We'd love to see you create and share your own experiences too - Cheers!